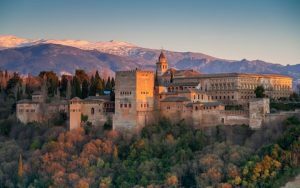 4.2 million international tourists visited Spain in February, 2.6% more than in the same month in 2017. The UK was, as usual, the main source of visitors with 865,316 people heading to Spain from the British Isles. This accounts for 20.5% of the total visitors but also represents 5.9% fewer Brits when compared to February last year. France and Germany also sent a significant number of visitors to our shores in February. However, we saw a reduction of 8.4% in the number of French visitors, while German visitor numbers increased by 2.8%, when compared to February 2017. Other emitting countries to show annual growth include Portugal (17.5%), Italy (11.1%) and Ireland (9.9%), according to the latest figures from the INE. Over the course of the first two months of the year more than 8.3 million tourists visited Spain, an increase of 3.9%. The main emitting countries over the first two months were the UK (with over 1.7 million tourists, a decrease of 3.1% compared to the same period last year), France (with more than one million tourists, a decrease of 2.2%), and Germany (also more than one million tourists, an increase of 3.5%). The Canary Islands were the main destination for tourists in February, with 28.2% of the total. They were followed by Catalonia (24.1%) and Andalusia (13.8%). The Canaries reached close to 1.2 million visitors, 0.7% more than in the previous February. The main emitting countries for those tourists were the UK (with 33% of the total), and Nordic countries (Denmark, Finland, Sweden, Norway, Iceland) with 21.2% of the total. The number of tourists visiting Catalonia in February increased by 2.8% to exceed one million. Of those, 21.2% came from France. Andalusia attracted over half a million tourists in February, an annual decrease of 0.3%. The UK was the main source of visitors with 26.7% of the total, followed by France, with 12.1% of the total. Of the other communities, the number of tourists increased by 7.8% in Comunidad de Madrid, and by 4.6% in Comunitat Valenciana. However, the Balearic Islands saw the number of visitors fall by 6.4%. The communities that the most tourists visited during the first two months of the year were the Canary Islands (with 2.4 million visitors, similar to February 2017), Catalonia (with 1.9 million visitors, an increase of 2.4%), and Andalusia (with more than 1.1 million and growth of 1.4%). “Leisure, recreation and holidays” was the main reason for coming to Spain for about 3.5 million tourists in February, which represents annual growth of 2.2%. “For Business, professional reasons” was the next most popular reason for visiting with 436,771 travellers (26.2% more), while 327,337 cited “Other reasons” (15.1% less) for their visit. The duration of stay for the more than 2 million of February’s tourists was four to seven nights, an annual increase of 2.1%.